I hope you all are having a good week! For some reason I keep thinking it's a day later than it actually is, so I'm disappointed to report that it's only Thursday. Here are some of my frugal picks for the week, all under $50 - click on any photo for more information unless otherwise noted! 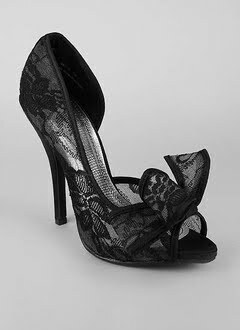 A great alternative to a much pricier Valentino shoe, this lace heel is perfection. 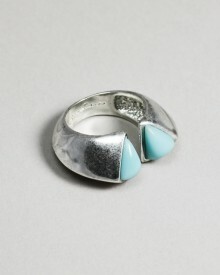 This ring reminds me of something Kate Spade would design. So cute. Loving the tortoise shell right now, and this is an even less expensive version than the Fossil one featured earlier today. How cute is that button detail? 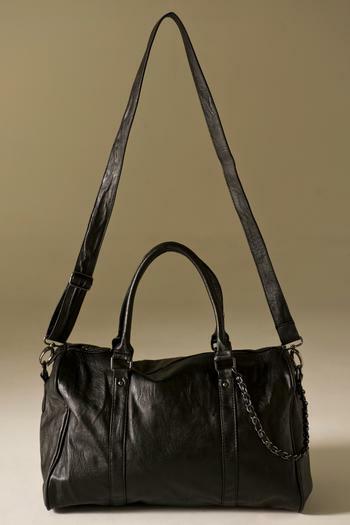 The shape of this bag is similar to the Alexander Wang Rocco duffle (minus the studs). This site is really cool - it's the brainchild of Kate Bosworth and her friend Cher Coulter. Every item is $29.95, and I especially like the little quiz they give you to determine items that might be in line with your personal style. OMg wow!!! great finds! Guess Charlotte Russe should be on my radar from now on! I love the little buttons on that Gap tee. I love this feature! You find some great things! Love the ladybug ring and the watch, especially. I am with you on thinking it's Friday...oh, what I would give for that to be true! I've been having the same problem all weekend long and its awful!!! Thanks Amber! Charlotte Russe always surprises me with some great stuff. Fshnonmymind - Glad to hear you like JewelMint! I've been considering signing up - maybe after the holidays. anotherfishinthesea - Glad I'm not the only one having that problem - it seems like it's been happening to me a lot lately! I couldn't find the great lace shoes. Can you help? ^They seem to be sold out, and I couldn't find them anywhere else! Hopefully they will restock.